We invite you to explore the new Cadillac ATS-V in Odessa, Texas. This powerful 2-Door Cadillac Sports Coupe offers 464 horsepower and 0-60 mph in 3.8 seconds. 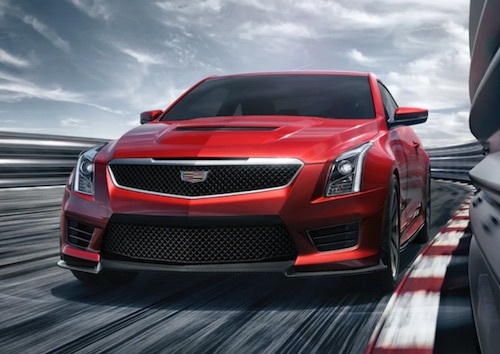 The ATS-V is the lightest and most nimble vehicle in the Cadillac V-Series with Performance Traction Management for competition-spec cornering. Its Twin Turbo V6 engine is mated with either an 8-speed automatic or 6-speed manual transmission to satisfy your preferred driving style. Our Cadillac finance center is available for convenient Cadillac ATS-V financing near you. We can help you buy or lease a new Cadillac ATS-V with affordable monthly payments and can help you find current Cadillac specials for extra savings. Browse our new Cadillac ATS-V inventory online to see photos, vehicle details, trim options and pricing. Then stop by Kelly Grimsley Cadillac to test drive a new Cadillac ATS-V in Odessa, TX.